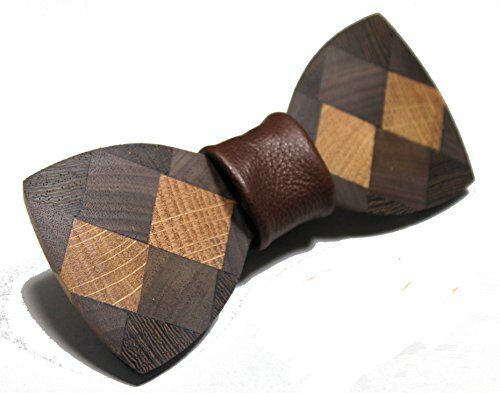 This Solid Multi Wood Bow Tie. 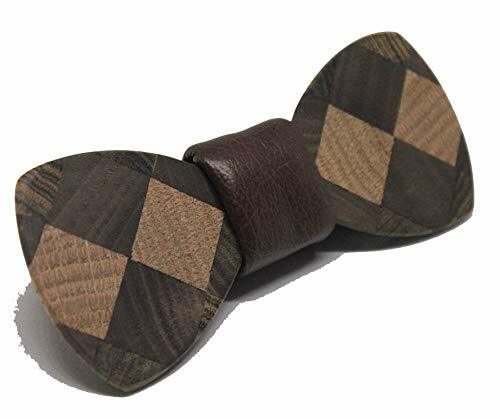 Comes in Black Satin Fabric, Yellow Fabric or Brown Leather center wrap to accent the beauty of the wood and match with most anythings.It makes the statement " Look at me!"! Comes with Handy Wooden Gift/ Storage Box. Make a great gift for a tie wearer. Each of our ties are hand shaped and crafted to a fine texture with a 3 step hand rubbed finish to seal the wood. 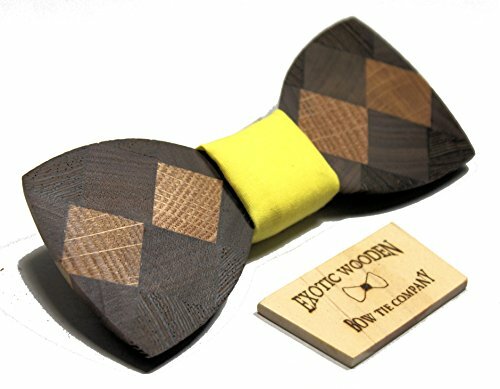 New Profile: This tie has our new profile angled base that helps the tie be seen better by sitting up straighter . Adjustable elastic band with metal hook to fit any neck. 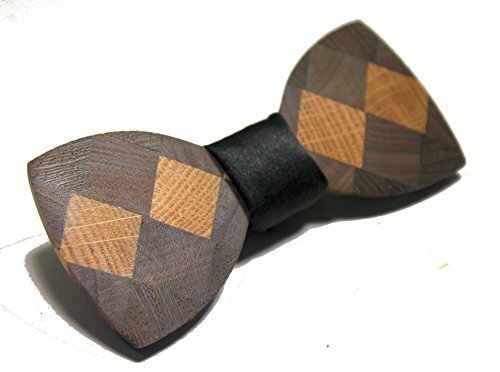 Can be used in any tie situation work, church, parties, weddings, proms etc .Each tie is a one of a kind , Hand Crafted and produced in America. Multiple quantities can be ordered for weddings and special occasions . Special Orders welcome with little delay in shipping.